What is a Disregarded Entity LLC? Home → IRS → What is a Disregarded Entity LLC? Note: Although there are various types of Disregarded Entities, this article will only be discussing Single-Member LLCs. Disregarded Entity is a term used by the IRS for Single-Member LLCs, meaning that the LLC is “ignored” for tax purposes. The IRS simply treats the LLC and its owner as the same person. This is just for federal taxes though. For legal purposes, the LLC and its owner are still separate and the LLC still protects the personal assets of its owner. We know there are a lot of confusing articles about the LLC Disregarded Entity, and you often see language like, “the LLC is disregarded as being separate from its owner“, however, we think that’s a bit difficult to understand and we’ve come up with some easier ways to think about it. The only exception to the above is if a Single-Member LLC has made a special election with the IRS to be taxed as a Corporation. If a Single-Member LLC has not made an election to be taxed as a Corporation, it is automatically a Disregarded Entity and the IRS “looks through” the LLC and taxes it the same way its owner is taxed. So unlike a C-Corporation which must file its own Form 1120 tax return (and face double taxation), an LLC doesn’t have to file its own tax return and instead has pass-through taxation, where the LLC’s profits or losses are reported on the owner’s income tax return (Form 1040). An LLC is created by state law. LLCs are not created by federal (national) law. However, LLCs are taxed under federal law. This created a bit of a problem because when LLCs first went into existence, the IRS wasn’t sure how they should be taxed. The first state to pass an LLC statute was Wyoming in 1977 and in the early 1980s, the IRS made an official statement that they would tax an LLC like a Corporation. This wasn’t the greatest news, so the other states were a bit slow to adopt LLC statutes as part of their state law. The first step in the right direction was in the late 1980s when the IRS released Revenue Ruling 88-76, allowing an LLC to be taxed as a Partnership. This was more favorable than Corporate taxation, so by the early 1990s, many states began passing LLC statutes and the formation of LLCs began to grow across the nation. By 1996, all 50 states and Washington D.C. had LLC statutes. But the really big moment for LLCs came shortly before Christmas that same year. The U.S. Department of the Treasury released final regulations that would become effective on January 1st of 1997. Under Title 26 of the Code of Federal Regulations (CFR), Sections 301.7701-1 through 301.7701-3, the government created what is known as “Check the Box” regulations, allowing an LLC to choose how it would like to be taxed. The new law also gave birth to the concept of a Disregarded Entity LLC. This meant that a Single-Member LLC will be treated as a Disregarded Entity (unless it made an election to be taxed as a Corporation). More specifically, a Single-Member LLC would be taxed as a Sole Proprietorship. This meant tax savings and a simpler tax return for Single-Member LLCs. Additionally, the IRS allowed Multi-Member LLCs to choose whether they would like to be taxed as either a Partnership or a Corporation. Once the industry got wind of the changes through the late 1990s and early 2000s, the growth of LLC formations began to explode! What about the LLC’s asset protection? No, you won’t. Having a Single-Member LLC that is a Disregarded Entity (ignored by the IRS) has nothing to do with how the state looks at your LLC. In the eyes of the state, your LLC (whether single-member or multi-member) is separate from you and your personal assets are protected. However, in the eyes of the IRS, they don’t really care about that. They just want to collect taxes. So in turn, they disregard (“ignore”) the LLC and ask for you to report and pay the tax yourself. It’s really as simple as that. However, if you’ve knowingly defrauded the IRS or evaded taxes, the IRS may go after your personal assets in court. Is a Single-Member LLC a Disregarded Entity? Yes, a Single-Member LLC is the only type of LLC that can be a Disregarded Entity. Furthermore, a Single-Member LLC is automatically considered a Disregarded Entity unless it makes a special election with the IRS to be taxed as a Corporation. Is a Multi-Member LLC a Disregarded Entity? The short answer is no, a Multi-Member LLC is rarely a Disregarded Entity. By default, a Multi-Member LLC will be taxed as a Partnership. If the Multi-Member LLC wants to be taxed as a Corporation instead, it needs to make a special election with the IRS. This election can be made when the LLC is formed or at any time in the future. 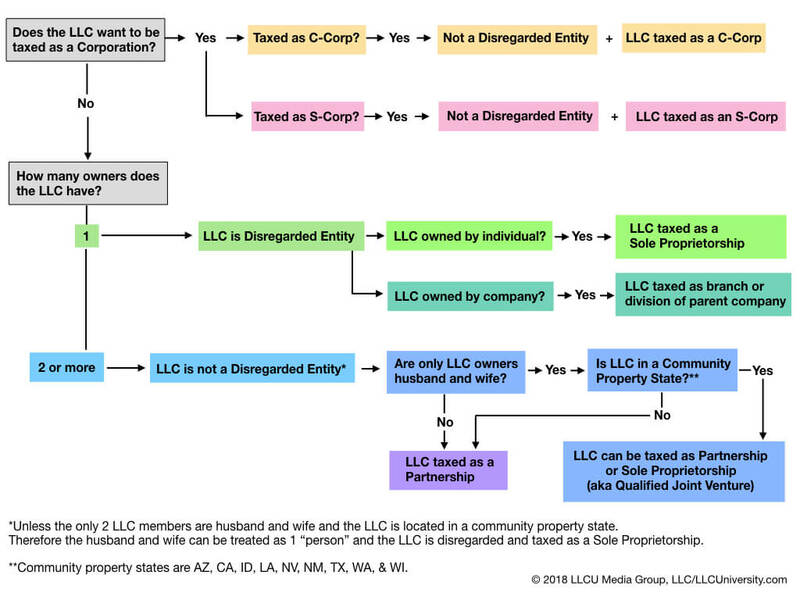 If the LLC has only 2 Members and those Members are husband and wife and the LLC is located in a community property state, the husband and wife can elect to be treated as 1 “person” and can have the LLC taxed as a Sole Proprietorship (aka Qualified Joint Venture LLC), therefore a Disregarded Entity LLC. The rare exception to this rule is when there is a Multi-Member LLC with 2 owners and one of the owners is a Disregarded Entity of the other owner. Bob already owns an LLC called Apples LLC, which he owns 100%. Bob then forms a new LLC with 2 Members called Oranges LLC. The 1st Member is Bob and he owns 50% of Oranges LLC. The 2nd Member is Apples LLC and Apples LLC owns the other 50% of Oranges LLC. Because Apples LLC is treated as a Disregarded Entity, the IRS sees both of the owners of Oranges LLC as being the same person and therefore, Oranges LLC is treated as a Disregarded Entity instead of a Partnership. Is a C-Corporation a Disregarded Entity? No, a C-Corporation is not a Disregarded Entity. A C-Corporation is a separate entity from its owner(s). Is an S-Corporation a Disregarded Entity? No, an S-Corporation is not a Disregarded Entity. An S-Corporation is a separate entity from its owner(s). This doesn’t have anything to do with pass-through taxation though. The S-Corporation’s profits still flow through to the owner(s), aka shareholder(s). Note: An LLC (multi-member or single-member) can elect to be taxed as an S-Corp, which typically makes sense once the LLC earns $70,000 to $100,000 in net income per year. Will my state treat my Disregarded Entity LLC the same way as the IRS? Yes, most states tax your Disregarded Single-Member LLC the same way the IRS does, meaning the LLC is taxed as a Sole Proprietorship and your LLC’s profits are reported on your state income tax return. There are some exceptions to this rule though, and it varies by state. We’re not tax advisors so you’ll need to speak with an accountant regarding the specifics of your LLC. However, we do know that New Hampshire doesn’t treat a Single-Member LLC as a Disregarded Entity for the purposes of collecting taxes. For more information, please see how the NH Department of Revenue taxes Single-Member LLCs. And this is just income tax. There is also sales tax, excise tax, franchise tax, and more. 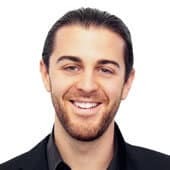 The tax reports you and your LLC must file and the taxes it must pay depend on where your LLC was formed, what type of business you’re in, how your money is made, and more. Please speak with an accountant/CPA regarding the specific details of your situation. We cannot answer detailed tax questions as things vary greatly from person to person and from business to business. Thank you for your understanding.